Whether you're spending your time over the holidays jet-setting to a fabulous sunny holiday destination, flying and/or driving to visit family & friends in the far corners of the earth or you're simply planning to overindulge as so many of us do during the most wonderful time of the year, Christmas takes its toll on skin. Luckily, Balance Me has you covered this year with some products that are just perfect for skin recovery to get you looking bright and fresh after all the fun and festivities! If you're looking for a skin helper that does all the heavy lifting while you sleep, you can't go wrong with the Balance Me Restore and Replenish Overnight Repair Mask. This super rich mask is very hydrating and it's designed to restore the protective moisture barrier of your skin while providing vital nutrients. Thick and hard-working, this mask leaves you with a more radiant complexion by morning. It's a lifesaver when you've overdone it a bit and need a miracle to occur literally overnight. One of the things I love about this mask is how easy it is to use. I generally apply it at night, sit down to watch a bit of television and about 15 minutes later, I wipe off any excess and my job is done really. I can stay up later or go to bed and leave it to work. There's not much necessity for waiting around, etc. If I'm applying this after a night out or just before bed, I simply apply it, brush my teeth and do everything else I need to before bed and then simply wipe it with a cotton pad just before my head hits the pillow... 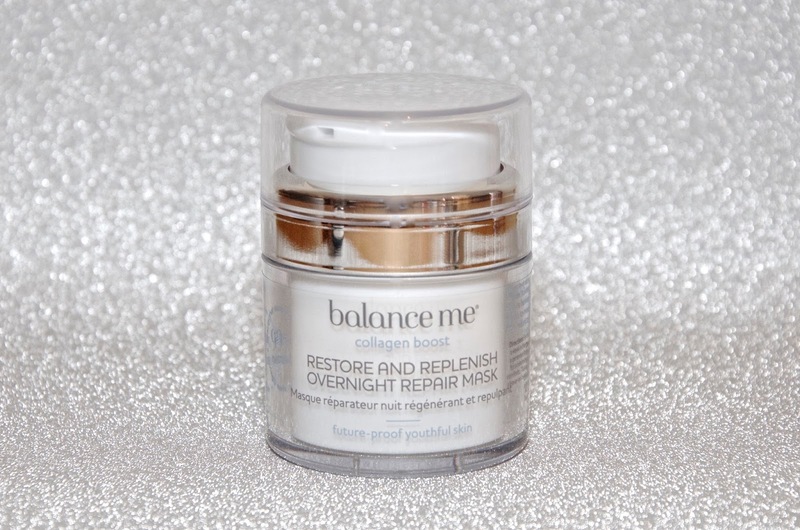 It's so easy - the Balance Me Restore and Replenish Overnight Repair Mask is your holiday skincare recovery in a bottle! If you don't necessarily have the whole night to restore your skin or if you want to give the overnight process even more of a boost, the Balance Me Skin Bright Toning Mist is the other product you want to have in your holiday bag of tricks. This toning mist can be conveniently spritzed on the face and it instantly plumps and hydrates the skin while balancing your complexion, providing protection from dryness and toning at the same time. Dryness from hot climates, air conditioning, cold weather and heating are all held at bay and you are left with more radiant skin thanks to this lifesaver. Chamomile and pineapple provide balance, an essential oil called spikenard extract restores and balances and bergamot boosts the complexion and glow factor. For an added bonus, store this product in the refrigerator for an extra refreshing application - perfect for the morning after a big celebration or any time your skin needs all the help it can get. 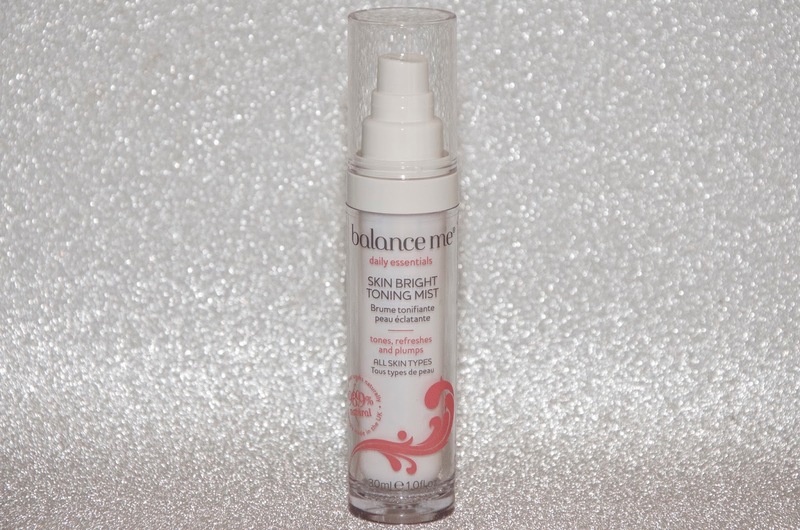 The Balance Me Skin Bright Toning Mist is a lovely refresher for make-up too, especially if you're going from desk to dinner. I love keeping this is my bag for when my skin needs a boost during the day... Just a quick spray and I'm ready for round two! Too many mulled wines at the company holiday party the night before a big morning meeting? No problem. Too many holiday parties in a row? These products will be a lifeline for your skin. Not keen on your family being able to see just how many Christmas cookies you've had literally written across your face? This is your solution. Taking a long-haul flight halfway across the world that will dry out your skin and make your face look awful? Apply the mask just after boarding the flight, wipe off the excess with a tissue or cotton pad just after take-off, turn on your favorite movie on your iPad and dose off. Simply give your face a bit of a wash or a swipe of a face wipe before landing, spritz with the toner and rest assured that you're getting off the plane looking more fresh faced than everyone else on the plane. 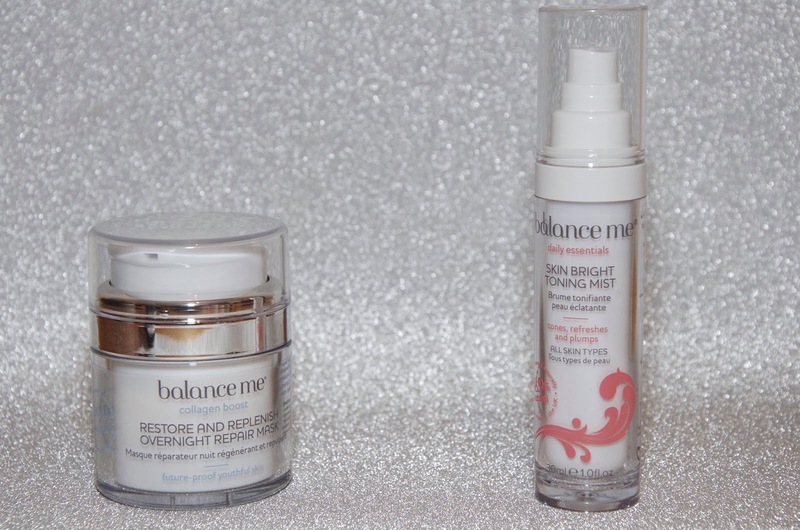 The Balance Me Restore and Replenish Overnight Repair Mask (£50) can be used twice weekly and the Balance Me Skin Bright Toning Mist (£12.50) is good for everyday use, but both of these products are brilliant for preventing and dealing with holiday stresses on your skin. Both products are available online via Balance Me. For more information or to buy, visit balanceme.co.uk.